31. Colmán son of Daríne i.e. his mother's sister was Daríne, and he was a fosterling of hers. Or Daríne nomen matris eius, i.e. at Clar Dairi móir in Mag Airb is Daríne's son, and Natail from Cell manach in the west of Ossory, on the same day with him. i.e. from Daire mór meic Darane in Mag Airb he is, and Rathail (sic) from Cell manach in the west of Ossory in uno die : from Daire mór meic Darane between Ossory and Éle of Munster. Colmán son of Daríne, then, i.e. Daríne was sister of Colmán's mother, and he was her fosterling. Now Sanct, Daríne's sister, was Colman's mother. Daríne was barren, but Sanct was prolific. So Daríne asked for Colman at once after his birth. To her then Sanct gives him, so that Daríne fostered him, and hence he is called Colman son of Daríne; and he is at Daire mór in Mag Airb between Ossory and Éle. This holy man, it seems probable, flourished during the fifth and sixth centuries. His father is said to have been Aenguss, King of Munster, and also the son of Natfraich. In the "Felire" of St. Aengus, at the 31st of July, Colman, son of Daraine, is commemorated. Darenia is the Latinized form of his mother's name. King Aengus' wife, who was named Darenia, was daughter to Conall. Nearly all our native historians intimate the same, as they call Colman, Mac Dairene, i.e., the son of Dairene. At the 31st of July, the Martyrology of Tallagh registers a festival, to honour Colman mac Darane, of Daire mor, or Derrymore. We are told, however, that Sanct or Sancta was the real mother of our saint, as also of a numerous offspring. The reason, why St. Colman was called the son of Dairine, is, because she Dairine, was Sant's sister. We are told also, that Dairinne was barren, since she bore no children. She asked for Colman, when a child, from her sister, and that he might be named from her. Then, we are told, Sant gave the boy to Dairine to be nursed. Hence, he is called Colman, son of Dairine. She is said to have been sister to St. Fanchea and to St. Oengus of Aran. According to this account, therefore, St. Colman could only have been foster-son to his aunt Dairene. While in one instance, the mother of St. Colman is called Sant—or Latine Sancta—other writers call her Dairene or Dairine, which perhaps is not inconsistent with the former designation; and therefore, it may be assumed, that the two distinctive names apply only to one and the same person. Among many names of Irish places known as Daire-Mór—anglicized Derrymore—this is distinguished. The present Derrymore is said to have been in Mag Airb, situated between the territories of ancient Ossory and of Éle, if we are to credit a statement made by a commentator on St. Oengus. If such be the case, the present holy man does not seem to have been a different person from him, whose feast has been set down for the 20th of May—which appears to have been the date for his chief festival, and where a description of his place may be found. At the 31st of July, however, in the Martyrology of Donegal, we find entered, Colman, Bishop, son of Dairine, i.e., the son of Aenghus, son to Natfraech, son of Corc, son to Lughaidh, King of Munster. ST. SECHNASACH, ABBOT OF CEANN-LOCHA, OR KINLOUGH. THIS saint belonged to the race of Laeghaire, son of Niall, according to the O'Clerys. According to Colgan, he was a priest at Durrow, in the King's County. We have already seen a place of this name, connected with a St. Siadhal Ua Commain, [feastday 8 March] conjectured to have been probably identical with Kinlough, at the north-western extremity of Lough Melvin, in the barony of Rosclogher, and County of Leitrim. Dr. O'Donovan states, there are several such denominations in Ireland. This day, the Martyrology of Donegal mentions, that a festival was celebrated in honour of St. Sechnasach, Abbot of Ceann-locha. This highly gifted, esteemed and worthy religious had laboured so earnestly and so well, in his great and holy avocation to meet that God, whose service was the sole absorbing object of his life, that his future rewards were secured, even before they were fully realized. An elegant scholar, his mind was furthermore enlightened by the gifts of grace. It is much to be regretted, however, that his personal history has been so obscured, and that it has become so difficult of elucidation. The Natalis of St. Chelian or Coelan, a monk of Iniskeltra, occurs on the 29th of July, according to the Martyrology of Tallagh. The Irish names Cillin, Cillen, Cillean, Cellin, and Cellen—bearing the same origin and signification—are often confounded; on account of verbal affinities, likewise, they have been classed with the names Coelan, Coelin and Coelen. These latter, however, are said to have a different derivation. The foregoing names are variously applied to our Irish Saints. The words, Cillin and Cillen, are diminutives deduced from Cill or Cell. Hence, in Latin, they are interpreted, by the expression, Cellanus. But, the words, Coelan, Coelen and Coelin are derived from the monosyllables, Coel, or Cail—or according to modern scholars, Caol—which signifies "slender," or "attenuated." As there is no letter K in the Irish language, its place is supplied by the consonant C, which before and after slender vowels, receiving the same pronunciation, as in other languages, should be accorded to the former letter. Hence, the aforesaid names, when Latinized, are variously expressed by these words, Cillinus, Killinus, Cellenus, Kellenus, Kilianus, Kilienus, Chilianus, Chilienus, &etc., also by Coelanus, Caolanus, Coelinus, Coelenus, Coelianus, Caelanus, &etc. In these words, also, oe, ai and ao are diphthongs. The feast of St. Coelanus is entered in the Martyrology of Marianus O'Gorman, at the 29th of July. The Bollandists have a brief notice of Coelanus, at this same date, but they doubt his title to be enrolled in the Catalogue of the Saints. The Rev. Dr. Lanigan thinks, that Kilian lived not before the latter part of the eighth century, although he does not deem it worth his while, to enter upon a long discussion, regarding this saint. We may conjecture his birth to have taken place before or a little after the year 700; but, on this supposition, we have little evidence to guide us in making such a statement. Some six miles above the town of Killaloe, the Shannon expands into a noble lake. Anciently, it was called Loch Deirgheirt. This fine sheet of water extends ten miles in length, and it is about three miles across, at its greatest breadth. Many pretty islands stud its surface. One of these, formerly called Keltra, also Inis-Cealtra, Inish-Caltra, and sometimes Inniskeltair, bears likewise the name of Holy Island…. 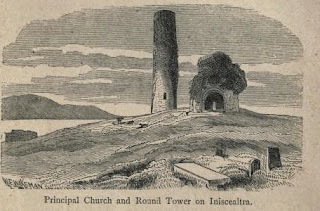 To St. Caimin has been generally ascribed the foundation of a monastery on Iniskeltair, early in the seventh century, and over which he presided to the period of his death, A.D. 653. A flourishing monastery—said to have been Benedictine in its form of rule—was thus established at a very early period, on the Island of Iniscaltra. Here, no doubt, a famous school had been conducted in after times. A succession of Abbots seems to have continued, until the place had been destroyed by Tomar, a Danish commander from Limerick, in the year 834. It was afterwards restored, by the powerful and pious monarch of Ireland, Bryan Boroimhe, a.d. 1007. The church on Holy Island, Lough Derg, is said to have been restored or remodelled by him in the eleventh century…. It is supposed, that St. Coelan had become a monk on the Island of Iniscaltra, and that he must have there lived for a considerable time. According to conjecture, he flourished about the end of the seventh or the beginning of the eighth century. At Iniscaltra, most probably, Kalian had received his education; which in a classical sense must have been an accomplished one. To him is attributed a very elegant metrical Life of St. Brigid. It was written in Latin Hexameter verse. Several Manuscript copies of this Life are supposed to be extant. As may be expected, in these there are various readings. Colgan has published a version, from a Monte Cassino Manuscript, collated with a copy, procured from the Vatican Library, and compared with other exemplars. Various emendations were deemed to be necessary. When Colgan had begun passing St. Brigid's Acts through the press, he received from the Rev. Father Bernard Egan, a learned Benedictine Abbot, and an Irishman, a certain fragment of that biography. At first, Colgan thought that poem began with lines, he there found; but, afterwards, he discovered that idea to have been a mistake. That copy he edited was drawn from one kept in the archives of Monte Cassino. Three other counterpart copies of those same Acts were procured by Colgan. One of them came from the Vatican Library, and another from the Library of His Eminence Cardinal Antonio Barberini, while a third was sent by the celebrated Franciscan Father, Luke Wadding. All of these copies were diligently collated by the editor, who found them severally mutilated and worn, abounding in false emendations of copyists, as also deformed with verbal transpositions and changes, to such a degree, that the sense of some verses could not be discovered, while the proper number of feet, and the required syllabic measure, were wanting in many other lines. But, to the collector's great industry, and by his observing closely the discrepancy of those copies, we are indebted for the publication of an old tract, which should have been very valuable, if it had not been disfigured through such negligence or incompetency of commentators or copyists. The editor endeavoured to follow the authorities he considered most authentic, in his several copies; for, he observed, that in many instances, the just number and measure of the verse could be found in some particular Manuscripts, while in others they were expressed, sometimes by abbreviations, again by a transposition of words, and often by some closing and arbitrary notation. The lines were frequently found so greatly mutilated, that they bore a prosaic rather than a metrical appearance. The editor detected so many omissions and licences, on the part of copyists, that he felt obliged to affix various marginal annotations to this poem. Through their incautiousness —a fruitful source of error in old documents—many transpositions of words were introduced, and certain synonymous terms were substituted for others besides, many abbreviations of doubtful meaning were found, and these left the sense imperfect. Even unaccountable caprice and mutilations caused some of the chapters to be acephalous or truncated, while some were altogether omitted. Certain lines are subjoined, from the Barbarini Manuscript, and which are wanting in that of Monte Cassino. Some breaks are discovered, likewise, in course of the narrative and structure of the poem. It was not possible always for the industry or research of either collator or editor, to repair so many imperfections or to restore so many omissions. Wherefore, Colgan only endeavoured to place in due order those words which seemed transposed, in certain passages, and cautiously to substitute others, in place of certain contracted words, doubtful in the reading, or which, through the error of copyists, were put for terms having a supposed affinity. Nor did the editor alter the poem, in the slightest tittle, except in those instances, where notable and obvious omissions of copyists left discrepancies between certain parts and lines, or where copyists so crudely amended them, that it could readily be conjectured, these emendations did not represent the original writer's words. For here and there, certain elegant and glowing phrases were found—especially in descriptive and metaphorical passages; then immediately afterwards, verses were maimed in prosodial number and quantity, while they were disfigured with blots. Colgan tells us, he published the poem, as he found it, changing nothing therein, but only the foregoing exceptional and false emendations. In Colgan's estimation, the author of this Sixth Life must have been this St. Coelan or Coelen. The Bollandists hold a different opinion. 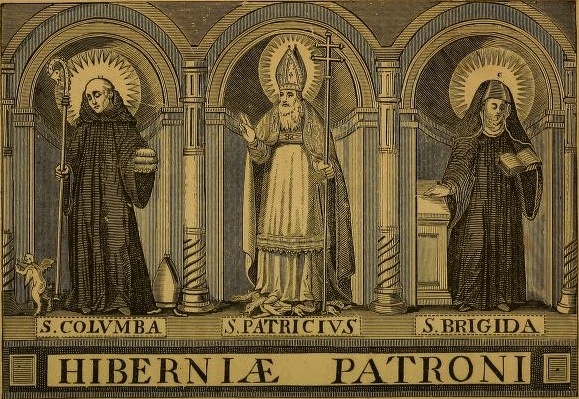 Although many particulars, relating to St. Brigid, are found in the five first Lives, as published by Colgan, and which are missing in the Sixth; yet, the editor supposes this attributable to no other cause, than to the deplorable liberties taken by copyists with the original. Here and there, these have left many elisions and erasures; and, it can scarcely be doubted, but that they altogether pretermitted other matters. 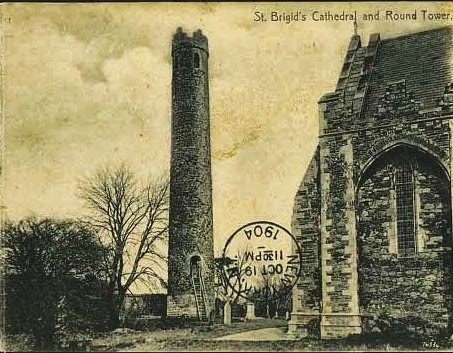 As that old and careful writer relates many of St. Brigid's Acts, omitted by others, and as it is indicated in the Prologue, according to Colgan's opinion, that he read her Lives, written by St. Ultan, Eleran, and Animosus; can it be supposed, he could have passed over so many accounts, faithfully related by various other writers, or that he would not have included several accounts, not given by them? The charges of omission, therefore, seem rather attributable to incompetent scribes, than to the author himself. The writer of our illustrious saint's Sixth Life is supposed to have been no other than Choelian or Coelan, the monk of Iniskeltra. In the Barberini Manuscript of that same Life, there are two additional metrical Prologues, which precede this one descriptive of Ireland. These two Prologues consist of general observations, on the merits of the Saints, and extolling some great truths of religion, with prayers and fervent desires for future happiness, &c. It may be doubted, however, if these three Prologues had not been written at some time, subsequent to the composition of the metrical Life itself. Perhaps, they had been prefixed by a different writer, or by more than one composer. If we suppose the author of St. Brigid's Sixth Life to have been Coelanus of Inishcaltra, Colgan thinks he must have lived, towards the end of the seventh, or about the beginning of the eighth, century. Thus, from a metrical Life of St. Brigid, attributed to him, and from his own words, it is supposed, we may discover the age in which this writer flourished. For, in a Prologue to it, he relates, that St. Brigid's Acts had been written before, by Ultan, by Eleran, and by Animosus. An elegant metrical Prologue precedes those Acts of St. Brigid but, it has been doubted, if both had been composed, by the same author. St. Donatus, the Irish Bishop of Fiesole, who flourished in the ninth century, is said to have written that Prologue. The beautiful opening descriptive lines have been elegantly rendered into English verse, and more than one version has appeared. St. Ultan is supposed to have died A.D. 656, and St. Aleran, A.D. 664 or 665. Hence, Coelan must have lived after this latter year. In the Martyrology of Tallagh, the feast of St. Coelan of Iniskeltra is commemorated, at the 29th of July, and it must have been inserted after his death. St. Caolan is said to have lived contemporaneously with Oengus Mac Tiprait, who died A.D. 745. The circumstance of Chilien calling the mother of St. Brigid "a countess" seems to indicate a comparatively late period for this his assumed composition. In the Martyrology of Donegal, the feast of this saint is to be found, at the 29th of July. It is probable, that he died, about the middle of the eighth century. St. Uisseoit, of Druim Uisseoit. We find recorded in the Martyrology of Tallagh, at the 28th of July, that veneration was given to a saint named Uisseoit. At the same date, in the Martyrology of Donegal, the name is entered as Uis-seoit, of Druim Uisseoit. Wherever this place was situated, it appears to have derived its name from the present saint. However, we cannot find any near approach to it in spelling, among the etymons of localities, in any part of Ireland. ST. BEOGHAIN, ABBOT OF MOVILLE, COUNTY OF DOWN. A monastery had been founded at Magh-bile, about 540 by St. Finian, denominated Fionn, or Findbarr, meaning "white head," a most celebrated Irish ecclesiastic, who was a preceptor of St. Columba. About the year 540, or as Sir James Ware states about A.D. 550, he is supposed to have founded a monastery at this place. It is situated in the county of Down. The Irish denomination Magh Bile is rendered by the "field of the aged tree." Close to the spot are some venerable yew trees of large size, which possibly may be the descendants of that "aged tree," from which the place derived its name. It was formerly the seat of a bishopric, being a place of great importance, and frequently it is referred to in the early annals of Ireland. A succession of holy bishops was there during the sixth and seventh centuries; but, from the year 731, Moville is noticed only as having been governed by Abbots. The present saint is classsed among the latter, in one of our earliest Calendars. We read in the Martyrology of Tallaght that Beogan Ab. Maighi Bile had a festival at this date. We are not able to find any record of the period at which he flourished…. It is noticed, in the Martyrology of Donegal, that Beoghain, Abbot of Magh-bile, or Moville, had veneration given him, at the present date. In that Calendar, compiled by the Rev. Dr. Reeves, he is noticed simply as St. Beoghan, of Magh Bile, but without the distinction of Abbot. A festival, which seems referable to a very early date, has been noted by our Calendarists, in honour of Furadhran, Bishop. It is set down in the Martyrology of Tallagh, at this date. His time or place is not known. The name is entered in like manner, by Professor Eugene O'Curry, in a Manuscript Calendar of his own compilation. Also, in the Martyrology of Donegal, Furadhran, Bishop, is to be found, at the 26th of July. Feast of St. Colman O'Liathain, Bishop or Abbot of Lismore. [Seventh and Eighth Centuries]. The feast of this saint, called Mocholmoc, is set down in the "Feilire" of St. Oengus, at the 25th of July. A comment is affixed, which throws some light on his family. In this gloss we read ‘Colman, descendant of Liathan, of Less Mor Mochuda’. A festival is registered, likewise, at the 25th of July, in the Martyrology of Tallagh, to honour St. Colman, said to have been identical with Mocholmoc h-Fachrach. According to the Calendar of Cashel, a festival in honour of this holy person occurs, on the 25th of July. He has been confounded with another St. Colman, Bishop and Abbot of Lismore, whose feast was kept on the 22nd of January. This latter died in the year 702. The present saint appears to have succeeded Cronan Ua Eoan, Abbot of Lismore, who died on the 1st of June, A.D. 716. Colgan calls St. Colman O'Liathain a Bishop of Lismore, in one place. The Four Masters, however, when recording his death, only style him a select doctor. It is probable, that he was both Bishop and Abbot of Lismore; for, he is called Comorban or successor of St. Mochudda, in the Calendar of Cashel. According to his usual computation, the Rev. Dr. Lanigan places the death of St. Colman O'Liathain, in the year 726. This learned writer believes, likewise, that his natalis should be assigned to the 25th of July. The Four Masters place his death at A.D. 725, as also do the O'Clerys. Colgan, also assigns the death of St. Colman O'Liathain, Bishop of Lismore, to A.D. 725. In the Annals of Ulster, his death is placed at A.D. 730. In neither entry, however, do we find St. Colman O'Liadain called Bishop of Lismore. At this same date, the Martyrology of Donegal enters the name, Colman Ua Liathain, Doctor. In the table appended to this Martyrology, the compiler has a Latin comment, written in Irish characters, to the purport, that Oengus calls him Mocholmog, in the same way as Miarnog for Iarna, Mosiolog, Maodhdg, Moedoein. 24. B. NONO KAL. AUGUSTI. 24. DECCLAN, of Ard-mor, son of Ere, son of Maicniadh, Bishop and Confessor. He was of the race of Eochaidh Finn Fuathairt, from whom Brighit descended, and Deitsin was the name of his mother. Colman, a holy bishop, baptized him. Life of Declan, chap. 3. On one occasion, as he was coming from Rome, he forgot a bell (which had been sent him from Heaven,) upon a rock which was in the port, and the rock swam after him, so that it arrived before the ship in Erin, and Declan said that where the rock should touch land, there God would permit him to erect a church, and this was afterwards fulfilled. This church is situated in Deisi of Munster, where he performed many signs and miracles. The Life of Saint Declan is available from a number of online sources, including CELT. DECLAN, SAINT (fl. 600-650), bishop, of Ardmore, co. Waterford, was son of Erc, a chieftain of the Desii, who was descended from Fiacha Suidhe, son of Fedlimidh Rechtmar, king of Ireland (164-174). The three sons of Fiacha had been banished from their original territory, the barony of Deece, co. Meath, and had settled in the districts in the county of Waterford still called Decies after the name of their clan. Here St. Declan was born. His parents, converted from heathenism by Colman, son of Lenin [q. v.], presented their child to him for baptism, and he gave him the name of Declan. According to the 'Book of Munster,' St. Colman was converted to Christianity in 570, and died in 600. Declan's birth must be placed between these limits. The unauthentic story accepted by Colgan, and apparently by Ussher, is that Declan was one of four bishops who preceded St. Patrick in Ireland. Having been consecrated a bishop at Rome, he was commissioned to evangelise the Irish. Afterwards, when in Ireland, these four bishops refused to obey St. Patrick on the ground that ' they were sent from Rome as he was.' In the end, however, a compromise was effected which was embodied in an Irish stanza supposed to have been uttered by St. Patrick, and which it was strictly forbidden to translate from the vernacular. In this it is said, ' Declan is the Patrick of the Desii, the Desii are Declan's for ever.' But Dr. Todd has shown that this story has no better authority than a legend which chronology summarily condemns as false. For seven years he remained in the house of Dobran, where he was born, and was then placed in charge of Dimma, a learned Christian, afterwards bishop of Connor (d. 658). We next hear of his building a ' cell ' on ground given by Dobran in the south of the territory of the Desii, in the east of the plain called Magh Sceithi, 'the plain of the shield,' not far from Lismore. Here several persons whom he had converted to Christianity, and who afterwards became well-known saints, were placed by him. Declan was probably at some time in Gaul, with which the Irish clergy in early times had some communication. It was while abroad that he became possessed of the article known as the duibhin. According to an early manuscript, while Declan was ' offering' in a certain town on his journey, there was sent to him out of heaven from God a small black cymbalum, which came through the window and ' stood on the altar before him, which St. Declan, receiving with joy, gave thanks to Christ and was strengthened by it against the barbarous ferocity of the heathen.' He then gave it in charge to one of his followers, ' Lunanus, son of the king of the Romans. The Scoti (Irish) called it the duibhin Declain (small black object of Declan), terming it so from its blackness, and ascribing it to St. Declan. From that day to this many wonders have been wrought by it, and it remains and is honoured in his city, i.e. Ardmore.' The duibhin is still known by the name mentioned, and there is some reason to think that it is a genuine relic of the saint. It is a small black slab of stone measuring about two inches by one and a half, and three quarters of an inch thick, on which is an incised cross. Originally of rectangular shape, it is much worn and chipped at the edges. It is believed to have been found in St. Declan's tomb, and is still credited with many marvellous cures. The statement in the ' Life' that it ' stood on the altar,' and that the sight of it encouraged the saint in his labours among the heathen, implies that it represented an altar-cross. The missionary altar of that age was a wooden slab about eight inches square. Placed on edge this slab represented the cross in a position where one with a shaft would be impossible. Cymbalum in Low Latin interchanges with symbolum, from the Greek sumbolon ton staurou, the term by which Sozomen (A..D. 440) describes an altar-cross (BlNGHAM). After this, 'Declan came with his disciples to the sea of Ycht, which separates Gaul from Britain.' This is one of the few passages which identify muir n-Icht, or the sea of Icht, so often mentioned by Irish writers, as the English Channel. It was the sea of the Portus Iccius supposed to have been the village of Vissent or Witsand. Applying for a passage, he found the terms demanded by the sailors too high, but an empty vessel having been miraculously supplied to him, he passed over. It may have been when crossing England on this occasion that he visited St. David at Menevia. On his voyage to Ireland he was divinely guided to a spot called Ard na-gcaorach, 'the hill of the sheep,' to which he afterwards gave the name of Ardmore, 'the great height,' which it still retains. Here he fixed his church and monastery. The story of his attempt to convert Oengus, king of Munster, is disposed of by the fact that the king died in 489, nearly a century before Declan was born. Towards the close of his life he visited the original seat of his clan in Meath, where he founded a monastery and left a remarkable copy of the gospels, which was held in great honour and believed to possess miraculous powers. Here he probably placed his disciple St. Ultan of Ardbraccan (d. 657). Among the buildings at Ardmore that known as the Dormitory of St. Declan is believed by Dr. Petrie to be his primitive oratory. The year of his death is uncertain, but he seems to have lived far on into the seventh century. His day is 24 July. Dictionary of National Biography edited by Leslie Stephen, Vol. XIV, (London, 1888), 267-8. ST. CAIN COMRAC OR CAENCOMHRAC, BISHOP AND ABBOT OF LOUTH, AND SOLITARY ON INIS ENDAIMIH, NOW INCHENAGH OR INISHENAGH, LOUGH REE. The present holy man departed this life, on the 23rd day of July, A.D. 898, according to the "Annals of the Four Masters; in the year 902, according to those of Ulster; and at A.D. 903, according to the "Chronicum Scotorum." The Martyrology of Donegal, at this same day, records Caencomhrac, Bishop, of Inis Endaimh, in Loch Ribh. Under the head of Inis-Eundaimh, Duald Mac Firbis enters, likewise, Caoncomrac, bishop, at July 23rd. The foregoing are the few particulars that can be recorded, in reference to the position and career of this holy bishop and solitary. A northern Irish abbot, Mobiu of Inis-Cooscry, is commemorated on 22 July. Canon O'Hanlon has an account of the abbot and of the locality in which he flourished, right in the heart of Saint Patrick country in County Down. 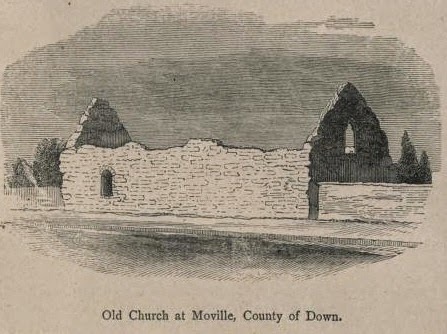 ST BITEUS OR MOBIU, CALLED ALSO DOBI, OR DAVID, ABBOT OF INIS-COOSCRY, COUNTY OF DOWN. THE original name of the present holy man was apparently Biu; for, we have to admit, that the adjunct of affection mo was but a colloquial addition. Formerly, in Ireland, it was not, and even yet it is not, always customary to use the title of "saint." With a simple reverence, the people called the holy men and women among them merely by their names, often affectionately prefixing Mo, "my," or Do, "thy." Thus, we have in general use the phrase "Patrick's Day," or "Stephen's Green," applied as the usual forms in reference to times and places. In the early period, the Irish did not call their children by a saint's name, without prefixing Gilla, "servant," as Gilpatrick, Gilbride, &c. These observations prepare us for a better understanding of changes occurring, also, in the personal etymons, applied to holy persons in our Calendars. In the published Martyrology of Tallagh, we meet at the xi. of the Kalends of August, or at the 22nd of July, this entry, "Dobi Innse Cumscraidh." It would seem, that our saint had been known under different names, as we find him variously designated, by our ancient and modern writers, Mo-biu, Do-biu, Dabius, David, Movean, and Bite, or Bitheus. He is called St. Movean or Dabius, of Ireland, in some of the Scottish Calendars. Thus, in Bishop Forbes' "Kalendars of Scottish Saints," some notices of this holy Abbot are to be found. According to Colgan, St. Dabius was born of a mother who had been childless, until St. Mochua, then at Bangor, had prayed for her, as mentioned in his Life. The Sanctilogy of the Irish Saints states his father to have been Comgell, son of Erc, son to Arad, son of Columb, son to Cunneth, son of Buan, from whom the Dal-Buan family sprang, and this was a celebrated tribe in Ultonia, although now extinct or unknown. If the genealogical line be complete in the foregoing pedigree, it would be possible to form an approximate calculation of that period at which he flourished. In the Irish Calendar, he is said to have borne the name of Bitheus, also and to have been Abbot of Inse Cumsgraidhe. Sometimes the place is called Inis Cooscry; and this name it obtained, probably from some former owner, named Cosgraidh. It is now known simply as Inch, a parish in Lower Lecale barony, and county of Down. The first church here is said to have stood near Erynach; but, we know not by whom it had been erected. This was situated in the barony of Lecale, about one mile and a-half south from Downpatrick. It it is said, that Magnell Makenlese, King of Ulster, had founded an Abbey here, and we are told,that a St. Evodius had been its first Abbot. On the day of his decease, Evodius prophesied, that his own Abbey should be destroyed in after times, but that an Abbey should be built in the Island, now known as Iniscooscry or Inch. Therefore, he gave directions that his corpse should be interred in it. A monastery appears to have been erected on this peninsula—which exhibits at present some picturesque ruins—long before the arrival of the English in Ireland. As had been justly thought by some writers, Iniscooscry was not called after John de Courcey; for, its ancient name was Inniscumhscraigh, pronounced Iniscooscry. Tigernach, Abbot of Clonmacnoise, who died in 1088, records, that in the year 1002, Sitric, King of the Danes, arrived with a fleet in Uladh and at Kilclief and Iniscooscry; while the Annals of the Four Masters, and Keating, at the reign of Brian Boru, concur in recording the same occurrence, and in almost the same words that Tigernach uses. Under the year 1061, is recorded the death of Hogan O'Cormacan, Abbot of Inniscumscraigh, and Hugh Maglanha, Abbot of Iniscumscray, was a subscribing witness to the charter of Newry. St. Mobiu is commemorated at the 22nd of July, by St. Oengus the Culdee, in the "Feilire." A comment on this notice remarks in Irish, that Thy-Biu, son of Comgall, was in Ferann Duin, equivalent to the district of Down. A St. Mobhius, son to Comgell, is venerated at the 22nd of July, according to Marianus O'Gorman and others. In Scotland, this holy man was venerated, as we learn from the Kalendar of Drummond, at the 22nd of July. Again, in the "Circle of the Seasons," we find entered at the 22nd of July, St. Dabius of Ireland. Strassburg, not seated directly on the Rhine, used the waterways of the Ill for river barges trading with the city. Here, outside the walls, near the Ill landing place stood the monastic school of St Thomas, another early Christian foundation with strong Irish connections. Two Irish bishops of sixth century Strassburg, associated probably with Trier, have left their mark here on the present day Protestant church of St Thomas. With an attached institute of learning, including a seminary of theology, it pays tribute to a spiritual heritage when St Thomas was called the 'cradle of Alsatian Christianity'. Bishop Florentius, claimed to be of Irish birth and nobility by his biographers, founded the monastery, choosing the peripheral site with intent. The conversion of country folk being his main concern, he encouraged pilgrimages to the grave of his predecessor and countryman Arbogast, entombed in St Thomas. This place, associated in tradition with early Christian baptisms, had also an altar dedicated to St Brigid. Who are Arbogast and Florentius? The scarcity of sixth century documentation clouds the path of pioneer days when these missionaries entered Alsace, starting, we are told, with hermitages, to be consequently called to the see of Strassburg by Merovingian kings. The impression received points to the category of learned Irishmen who were drawn, first to the cultural centres of southern Gaul, becoming then infused into Trier for reformatory and apostolic reasons. On the northern fringe of the forest Surburg, Arbogast’s first monastery was founded. It was destroyed in the Thirty Years War. The abbey church has since been restored to house the founder’s tomb. His effigy is also in an old Gothic sanctuary in the centre of Surburg village. The cult of Arbogast was widely spread throughout Alsace, but his ministry was concentrated in the North and there are further indications that he travelled to these parts from Trier. Roísín Ní Mheara, Early Irish Saints in Europe - Their Sites and their Stories (Seanchas Ard Mhacha, 2001),113-115. St. Curifin or Cuirbin, the Pious, in Hy-Fidhgeinte, County of Limerick. This saint seems to have lived before or during the ninth century, as he is named by our earliest Calendarist. In the Feilire of St. Oengus, at the 20th of July, there is a festival set down for "pious Curufin." In an Irish commentary postfixed to this proper name, we find the following remark, as translated into English "in Ui-Fidgente in Munster is Curufin." In the Martyrology of Tallagh, at this date, the simple entry Curifin occurs. The O'Clerys connect this holy man, with the territory of Hy-Fidhgeinte, which derived its denomination from the descendants of Fiacha Fidgeinte, son to Daire Cearb, who was the son of Oilill Flannbeg, King of Munster, in the latter part of the third century. It comprised the barony of Coshma, and all that portion of the present Limerick County, which lies to the west of the River Maigne. Thus, we are told, in an old document, that the country of the Hy-Fidgeinnte extended from Luachair Bruin to Bruree, and from Bruree to Buais. A festival is inserted in the Martyrology of Donegal, at the 20th of July, in honour of Cuirbin, the Pious, in Ui Fidhgeinte, in Munster. It is likely, this saint is identical with one entered Cruibin, at this same date, in the Introduction to that work. ST. OSSIN OR OISSEINE, AND FIFTY MONKS, OF TENGAIDH. At the 19th of July, in the Martyrology of Donegal, we find recorded Oisseine, and fifty monks, of Tengaidh. In the Irish Calendar, which belonged to the Irish Ordnance Survey, there is an entry of this Oseine, at the xiv. of the August Kalends, which corresponds with the present date. We cannot find any other records, to afford satisfactory information regarding St. Oissene and his fifty monks of Tengaidh. Alas! for the great son of Muireadhach. Ah grief! the descendant of the comely fair Ceallach. A brilliant shining star was Cobhthach, the successor of Connladh." How long he ruled there is not recorded, but he probably succeeded Ceallach, son of Ailell, Abbot of Cill-dara, and the Abbot of Iona, who died in Pictland, A.D. 863, or 865. The death of the present holy Abbot Cobhthach has been assigned to the year 868, or 869. The name, Corpnata, occurs in the Martyrology of Tallagh, at the 17th of July. It seems very possible, that an Irish Life of St. Creunata, transcribed by Brother Michael O'Cleary, had reference to this holy woman, and it yet exists in the Burgundian Library at Bruxelles. Some notices—most probably regarding this saint—or it may have been a Life, seem to have been prepared by Colgan for publication, at the 17th of July, as on the posthumous list of his Manuscripts we find a St. Cranata, Virgin, entered. It is likely, this was another form of St.Craebhnat's or Corpnata's name. In the Martyrology of Donegal, Craebhnat, Virgin, is recorded at this same date. 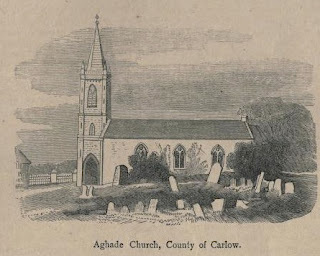 Rev.Canon J. F. Lynch writes: According to Windele, the church of Clenor was dedicated to St. Cranit, a name which is written Craebhnat by Mr. James Byrne. 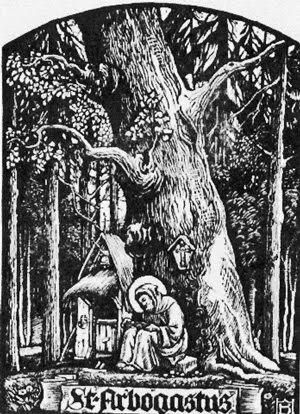 Craebhnat means dear little branch, or branchy tree, and appears to have been a name of endearment given to the saint... The Editors of Donegal Martyrology, Drs. Reeves and Todd, give no note concerning Craebhnat, and most likely were altogether unacquainted with her connection with Clenor. Nor did, I think, Michael O'Clery know of this connection, for if so, he would have stated it in the Donegal Martyrology, and so we have to rely on the particulars supplied by Mr. Byrne concerning Craebhnat, making due allowance, of course, for the vagaries of local tradition. Historical and Topographical Notes etc. on Buttevant, Castletownroche, Doneraile, Mallow and places in their vicinity, by Colonel James Grove White. Cork, Guy and Company, 1906-1915. I will publish Mr Byrne's account of the legend of Saint Craebhnat on another occasion as I would like to do some further research into the sources for the life of this saint. St. Scoth, Virgin, of Cluain-mor-Moescna, probably Clonmaskill, County of Westmeath. In the Martyrology of Tallagh, at the 16th of July, appears the name Scoth, Cluana moescna. This appears to be identical with Clonmaskill, in the barony of Fertullagh, county of Westmeath . Or it may be Clonmaskill in the parish of Castletowndelvin, and barony of Delvin, in the same county. At an early period after the Anglo-Norman Invasion, Hugh de Lacy built here a castle for his brother-in-law, Sir Gilbert de Nugent, who resided in it for a time, while its ruins now occupy the sides of a quadrangular fort, having had a round tower at each corner. This was anciently the seat of the Barons of Delvin. There is a St. Scota, referred to in the Life of St. Senan, Abbot of Iniscattery. She is called the daughter of Cobhtach, and she is also regarded as his paternal aunt. Her festival is supposed to have fallen on this day. If the identification be correct, she must have been born about or after the middle of the fifth century. Towards the close of his life, St. Senan wished to visit her cell. This must have happened, it seems probable, after the middle of the sixth century. The nunnery of this St. Scoth, or Scota, seems to have been not far from the monastery, which was in the district, known as Irros, in the county of Clare. For an account of the present St. Scota, we are referred by Colgan, to the Martyrologies of Tallagh, of Marianus and of Aengus, at the 18th—probably a mistake for the 16th—of July. Her religious house was situated a few miles northwards from Mullingar. This monastery is supposed to have perished during the Danish wars. The name of this holy woman is entered in the Martyrology of Donegal, at this same date, as Scoth, Virgin, of Cluain Mór Moescna. St. Comman, Son of Diomma, or Dimmai. The lonely hills and solitudes of our Island were once peopled with devoted men, who were engaged in celebrating the praises of God, although it is now difficult to know where the exact dwelling places of many had been. In the Martyrology of Tallagh, at the 15th of July, there is an entry of Comman Mac Dimmai. We find registered the name Comman, son of Diomma, in the Martyrology of Donegal, at the same date, but no further particulars are given. St. Id, Bishop of Ath-Fhadhat, now Ahade or Aghade, County of Carlow. The Protestant church of the union of Ballon and Aghade stands on the site of one much older, and the foundations have been utilized for the erection of the more modern building, which is said to have been so old, that the date and cost of its erection are unascertainable. The church is prettily situated, on a gently elevated ground, and in the midst of a highly cultivated district. A rivulet running close to the churchyard adds greatly to the beauty of this tranquil scene. Some interesting tombs and their inscriptions are to be found there. It has been stated, that about the middle of the twelfth century, by Dermod Mac Murchad, King of Leinster, a nunnery had been here founded, for nuns of the order of St. Augustine, but it was then attached to the nunnery of St. Mary de Hogges, in the city of Dublin. There is now no remembrance of the nunnery in this locality. A blessed well—but without a name—is there, while other antiquities exist, and numerous human remains have been turned up, between Ahade and the town of Tullow. Under the head of Ath Fadat, Duald Mac Firbis enters the name Id, bishop of Ath-Fadat, in Leinster, for this day. At the 14th of July, St. Idus, Bishop of Ath-Fada, in Leinster, is set down by Rev. Alban Butler. In the "Circle of the Seasons," at this same date, he is simply called a bishop in Leinster. Little of a reliable character can be gleaned regarding him. St. Mosiloc or Mothiolog, of Cloonatten, Parish of Kilmichael Oge, County of Wexford. he went into the noble realm of peace." In a commentary added, he is styled and identified as "my Siloc, i.e., of Cell Mo-siloc in Ui-Degad, in Ui-Cennseliag." Hence, it should seem, that Siloc was simply his name, and it is entered Silog in the Calendar of Cashel. Veneration was given to Mosiloc Cluana Daethcain, at the 13th of July, as appears in the Martyrology of Tallagh. In Rev. Dr. Kelly's edition of the Martyrology of Tallagh, this place is identified with Clonkeen, Queen's County. His name and place are elsewhere differently entered. At this same date, we find in the Martyrology of Donegal, Mothiolog, of Cill Mothiolog, in Ui-Ceinnsealaigh, or Mothiolog, of Cluain Aithghin. This place is Cloonatten, in the parish of Kilmichael Oge, in the barony of Gorey, and county of Wexford. A note by O'Donovan says, "Mothiolog now corrupted to Kilmichaelog," I find another note appended by William M. Hennessy to this ancient denomination, "Kilmokiloge or Kilmichaeloge, near Gorey, County Waterford,"(? Wexford). There is a curious old church in that locality. In the Kalendar of Drummond the feast of this saint is inserted, at the present date. Thus: "13 iii. Idus. In Hibernia Sancti Confessoris Mosiloc. "—Bishop Forbes' "Kalendars of Scottish Saints", p. 18. There is an entry of Mosilocus, at the 13th of July, in the work of the Bollandists. Father O'Sheerin supplied them with the notice inserted. St. Nazarus, Nazair, or Nasan, Bishop of Liethmore, County of Tipperary. Mochoemog, situated in that parish. It is probable, we must place the present holy man subsequent to the time of St. Mochoemhog or Mochcemoc, who was first Abbot and founder of Liath-more. In the Martyrology of Donegal, at the 12th of July, is entered the feast of St. Nazair, Bishop of Liathmor, in Ebhlinn. The Bollandists, who derived their information from Father O'Sheerin, also record Nazarius de Lieth, at this date. St. Falbi, or Failbhe, Son of Culocha, of Disert Mic-Conlocha, in Cuircne, County of Westmeath. In the Feilire of St. Aengus, at the 11th of July, there is an entry of Conlug's pious son. In a comment annexed, we are informed, that he was of Disert Meic Conlocha, in the west of Meath, and that Failbe was his name. His father was named Conlug—according to other accounts—Culocha. We find entered in the Martyrology of Tallagh at the 11th of July, Mac Conlocae, Falbi being his name, in Disiurt mic-Conlocha, in Curchib. The Bollandists have on this day the brief notices furnished by O'Sheerin, and representing him as a burning and a shining light. The Calendar of Cashel as also the Martyrologies of Marianus O'Gorman and of Cathal Maguire commemorate him. Euten, daughter of Moche, son to Bairrinn, sister of Muiccin, of Maighin, was his mother. The territory of Cuircne or Machaire Cuircne was commensurate with the barony of Kilkenny West, in the county of Westmeath. This district of Cuircne embraced also that portion of Forgney parish, lying south of River Inny, in the barony of Abbeyshruel, and county of Longford. The place of this saint is now probably that called Dysart, a parish partly in the barony of Rathconrath, and partly in that of Moycashel and Magheradernan. There are some remains of an old church and a cemetery lying within it. It is remarked, that in the Menologium Scoticum of Dempster, he has a Failbeus at the 25th of January, at the 3rd of June, and at the 6th of October. The Martyrology of Donegal records the present saint, as Failbhe, son of Culocha, of Disert Mic Conlocha, in Cuircne, in Westmeath. In 1920, Cardinal Mercier of Belgium sent a famous letter to the Irish Bishops at the time of the Irish Troubles, and named Etto as one of the Irish missionaries to whom Belgium was especially indebted. Canon O'Hanlon brings us a full account below of Saint Etto's life and labours, including a history of the translation of his relics. I was struck by the agricultural element of the saint's cult in Belgium, in particular how his intercession was sought for farm animals, especially cattle. This brings to mind how people here related to Saint Brigid, who, like Etto is often portrayed with a cow. ST. ETTO, HETTO, OR ETHON, BISHOP AND CONFESSOR. AFTER the Church of Christ had been founded, and when Christians were redeemed through his precious blood; then her illustrious children, whether as Martyrs, Apostles, Doctors, Virgins or Confessors, began to exhibit those virtues and labours, which served to extend her sway over the hearts of men. Several holy missionaries banded together for this purpose, and left the shores of Ireland for more distant countries. Among those was Etto, and he became a saint illustrious for his apostolic zeal and miracles. The particulars of his Acts are only to be gleaned from popular tradition, nor do we know that any very ancient written accounts regarding him are to be found. No doubt, there are several inaccuracies that have been incorporated with the more authentic accounts, yet even for those incorrect statements, reasons may be assigned, and allowances must be made. A Life of this saint has come down to us, but it does not appear to be a very ancient one. The date of its composition is uncertain, and it is supposed to have been the composition of a monk at Liesse. It has a Prologue of the Author, and then follows a narrative of public events, connected with the period of Etto's arrival on the Continent, as also the subsequent traditional accounts, regarding his mission and career. His offices and the Martyrologies hardly serve to throw any additional lights on his history. In French, this saint is called Zé; but, in the ancient Lives, his name is written Etto or Ethon. Sometimes, too, he is named Hetto. It was Colgan's purpose to have published his biography, at the 10th of July. In the "Natales Sanctorum Belgii," there are some notices of St. Etto, as also in Miraeus. The Bollandists have special accounts of this holy man. A commentary precedes his Acts. These follow, with the author's prologue, in two chapters and seventeen paragraphs. His Acts have been published from a Manuscript, belonging to the Abbey of Marchiennes. This has been collated with two other Codices; one of these having been in the hands of D. Pruedhomme, a Canon of Cambrai, and another belonged to the collection at Alnensis. In the "Acta Sanctorum Belgii," Etto is particularly commemorated. Some notices of him are to be met with, in the work of Bishop Challoner. The Petits Bollandistes also have an account of St. Etton or Zé, at this date. There is a notice of St. Etto, likewise, in Rev. S. Baring-Gould's "Lives of the Saints." St. Etto was a native of Ireland; but, regarding his family descent, and earlier years, we have no account. He was probably born in the early part of the seventh century. There he was instructed in a knowledge of the Scriptures, and trained in the principles of virtue. This holy person is said to have been in Britain, to confer with many saints, that then flourished in these Islands; but, whether he joined St. Fursey there or in Ireland is not known. As we have already seen, in the Life of St. Fursey, that a certain Count named Madelgarius, surnamed Vincent, and who had gone to Ireland, waited upon that celebrated missionary in England, and succeeded in persuading him to visit Gaul, where he afterwards founded the monastery of Lagny. At this period, that country was just beginning to recover from the devastations of the Huns and Vandals, with other barbarous invaders. With his brothers Foillan and Ultan, as also with Mimbolus, Eloquius, Bertuin, Fredegandus, Adalgisus and Gobban, disciples of St. Fursey, Etto was one of those apostolic preachers, who, in the seventh century, went forth to spread the Gospel on the Continent. They are said to have accompanied Madelgarius and his wife St. Waldetrude, when these returned to France. The great desire of the holy missionaries was to visit Rome, in the first instance; most probably to receive the necessary jurisdiction and approval, for the tasks which they had proposed to accomplish. About the middle of the seventh century, they arrived in France, and Etto thence made a pilgrimage to Rome, but whether in company with St. Fursey or not seems to be uncertain. While he was visiting the tombs of the Apostles, it is said, that he received episcopal consecration. By Molanus, he is styled "Hiberniensis Episcopus." Afterwards, he returned to France. With St. Fursey, it is stated, that Etto lived for a time at Lagny, and that he carried the word of God afterwards into the Low Countries. He passed into those parts with six other companions, and in the company of St. Waldetrude. Among the holy men, who went to preach in the Low Countries with St. Etto, or about the same time, was St. Bertuin, a Bishop. He built an oratory, at Maloigne, upon the Sambre. After his return from Rome, Etto chose for his abode a solitary place, near the little river Corbriol. Like many of the primitive saints, he had a Divine inspiration, that he was destined to evangelise the people, in that part of the diocese of Cambrai. St. Etto settled on a little stream at Thierache, near the town of Avesnes. There he cleared away the brambles, and built a cell for his occupation. At first, he experienced some difficulties and opposition, owing to a man named Jovinus, who laid claim to the land, he being unwilling that a stranger should take possession of it. Jovinus railed at the holy man, nor would he enter upon any terms of compromise, until convinced by a miracle, that he should yield, and make an humble apology to Etto. There our saint erected a church, under the patronage of St. Peter, chief of the Apostles. He used to visit the Abbey of Hautmont, where under St. Ansbert, Madelgarius lived and there he met St. Amandus, St. Wasno, and St. Humbert. There, too, St. Ursmar and his assistant bishop Erminus met him; as also St. Wasnulph, St. Gissen, St. Aldegunde, and St. Gertrude. Besides these, St. Foillan and St. Ultan came to meet him from the monastery of Fosse, as likewise many other celebrated fathers of the Church, who were living in France during his time. Throughout all that region, St. Etto zealously laboured to spread the Gospel seed. As a light placed on a pedestal cannot be hidden, so did theme of his virtues spread on all sides. To the place of his abode came numerous visitors, to ask his counsel in spiritual affairs, as also to obtain the succours of religion. But, Etto was exceedingly humble in his own estimation, nor could he bear that others should think highly concerning him. One of the miracles recorded of our saint is that one day, and while walking in a field, he saw a mute cow-herd sleeping. Touching him gently with a staff, the man arose, and immediately found the use of speech. Fiscau or Fescau, afterwards a priory, and depending on the Abbey of Liessy, near Avesnes, in Hainault, was the place noted in connexion with St. Etto's demise. Here he lived for a considerable time, constantly engaged in prayer, and crucified to the world. Daily did he offer the Holy Victim in Sacrifice to the Lord. He became a father of the poor, a protector of the widow, an aid of the orphan, a consoler of those in sorrow and tribulation, aransomer of captives, and an intercessor for all who were reduced in circumstances. Finding his last days on earth about to close, St. Etto called his disciples to him, and then gave them special instructions, to observe the precepts of charity and peace towards one another, as also to fulfil with great care the duties of a Christian and a religious life. Receiving from him an intimation, that he should soon leave this world, his monks were moved to tears, and they naturally gave way to sorrow. However, they felt consoled when Etto imparted a special blessing on them. For immediate preparation, to meet death, the holy man redoubled his prayers and vigils, fasting with still greater strictness and giving alms most bountifully. The night before his departure, Etto had a vision regarding the place of his sepulture; and, on waking, he desired one of his friends to meet another, who was then in an adjoining wood, preparing a coffin, although he knew not for whom it was destined. This coffin that man was engaged in bringing away on a cart, drawn by a bullock. The coffin was brought to Etto, who had desired to see it. Afterwards, he devoutly received the Body and Blood of our Lord in the Holy Sacrament. Then, in the presence of his disciples, who were standing round, his soul passed away to the company of the Holy Angels and Saints. He is said to have departed, in the sixty-fifth year of his age. His death has been assigned to about a.d. 670. On the 10th of July, various ecclesiastical authors commemorate St. Etto. His feast has been noted, in the Belgian, Gallican and Benedictine Martyrologies. Thus, Saussay, Molanus, Miraeus, Ferrarius, Wion, Dorgan, Menard, Bucelin, Castellan,and Baldericus, have notices of him. In Convaeus' list, at the same date, we find Etto set down, as "Epis. Fasciaci et Laetiarum patronus." He is noticed, likewise, by Thomas Dempster. His festival was celebrated on this day, with a proper office, in the church of Buinvilliers. There is extant, likewise, an office with Eight Lessons, and these profess to give the Acts of St. Etto, but some of them are only foolish legends. 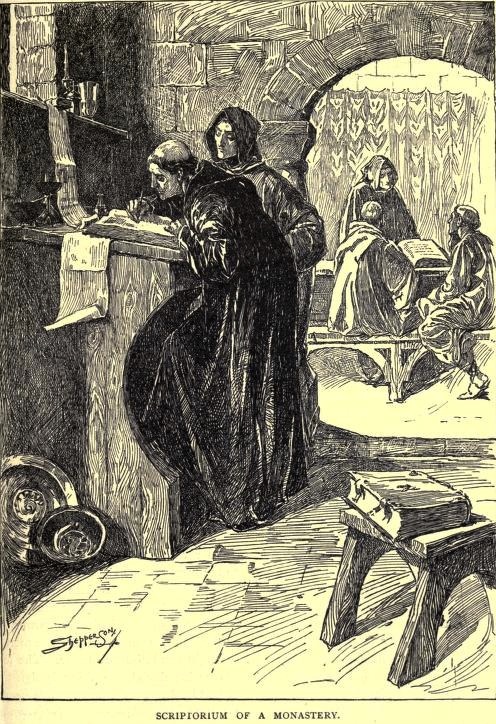 The forty-second Bishop of Cambrai, Nicholas, in 1162, issued a diploma, whereby certain possessions were confirmed to the abbacy of Leisse, with a provision for the maintenance of so many monks as might be required to serve the church of Dompierre, and a prohibition against removing the body of the saint from that place. Other donations to Dompierre are on record. The monastery of Fiscau, was in the village of Dompierre. There and in all the surrounding country, St. Etto's name was held in very special reverence. However, the disturbances occasioned by the new Reformation caused his body to be removed to a place of greater security. His relics were translated to Mons, with those of other saints, during the wars about the middle of the sixteenth century. They were temporarily placed in a house of refuge, belonging to that Abbey. Afterwards, when order had been restored, St. Etto's remains were removed to the Abbey of Liesse, or Liessies, a suitable receptacle having been prepared for their reception, while the coffin or shrine was newly decorated and restored, as time's effacing traces had begun to show marks of fading and decay. Other smaller reliquaries of the saint were repaired at the same time. To this resting-place, St. Etto's body was translated, by Louis de Blois, then its Abbot, and placed in the church of his monastery, on the 22nd day of June, a.d. 1559. This establishment was subsequently an abbey of Canons Regular. There the body was kept, with great veneration, and St. Etto's feast has become a great solemnity, on the anniversary of his death, 10th of July. In like manner is he commemorated, in the priory of Fiscau. On that day, the people assembled in great numbers, and assisted at Mass, while a vast procession on foot and on horseback accompanied a shrine containing the relics of our saint. On that day, too, the people abstained from servile works, regarding it as a superior feast. The office of his Natalis was recited in the parish, and it was sung in the monastery of Leisse, during the entire octave. However, in the church of Dompierre, the body of St. Etto is now preserved, and there is a tomb on which he is figured with a mitre, a cross in his hand, and clothed in episcopal vestments. At some distance from the church, there is a fountain, which bears the name of St. Zé. In the parish of Dompierre, for many ages past, as also in that of Buinvilliers, diocese of Arras, a confraternity has been established in honour of St. Zé. The latter was ordered to be erected, by the bishop of Arras in a letter, written June 16th, 1630; but, its inauguration was deferred, owing to the fact of two churches being in the same town—the congregation of each contending for their respective church as being the parochial one. An arm-bone of St. Etto is preserved at Buinvilliers, near Arras. St. Etto is represented with oxen at his feet, as he is invoked by cow-herds and cattle-drivers. A copperplate engraving of this character has been inserted in his Acts, as furnished by the Bollandists. Since the time St. Etto departed from this life to our Lord's happy inheritance, in the seventh century, the people who lived after him had great faith in his intercession. Those who had been afflicted with various diseases were taught to believe, that through a devout invocation of his patronage, the Almighty would be pleased to remove their ailments and to prolong their lives. Even he was supposed to hear the prayers of country people, who intreated him to avert distempers from their cattle and other animals.